How bout a healing? Thought I would share how I do a crystal healing. We have 7 main chakras or energy centers in our subtle bodies and its those that I focus on when doing a healing. A healing clears and balances the chakras and promotes emotional and physical well being and feels wonderful. Incorporating crystals amplifies the healing. Finding a comfortable seated position, I quiet my mind and stand in stillness allowing my chakras to open. I use the crystals along with the Reiki symbols focusing on the 7 main chakras, starting with the root chakra and moving on when guided. Root - located at the base of the spine, groin area, it's our connection with the earth. I direct my focus to the root and visualize a wave of light traveling from my root chakra, down my legs and feet and into the earth like a huge root. The colour associated with the root chakra is red. 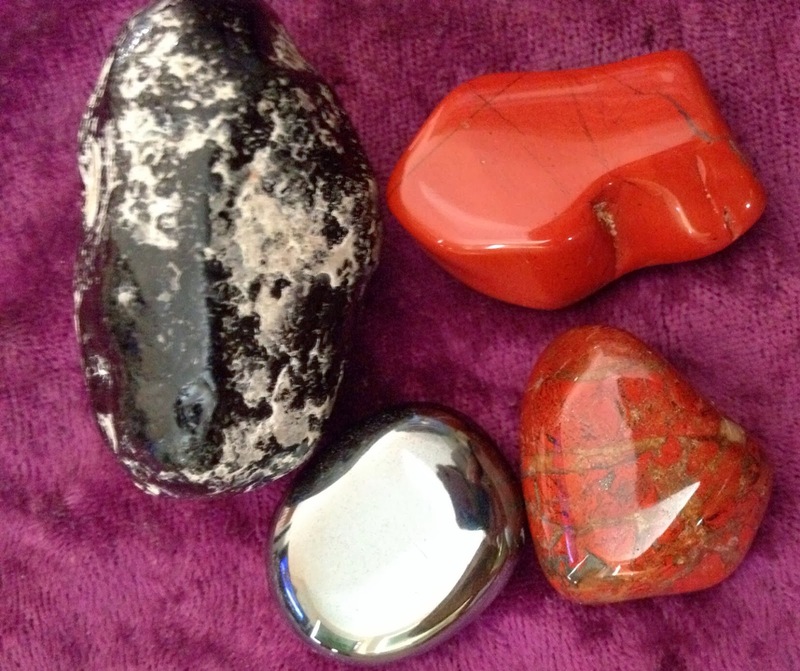 The crystals I used were red jasper, hematite and jasper brecciated along with an apache tear. Sacral - is also called the belly chakra. It's located about halfway between the navel and groin. I have found that men seem to feel the sacral chakra as it manifests as lower back pain when there is an imbalance going on. A healing on this chakra goes a long way in eleviating that. 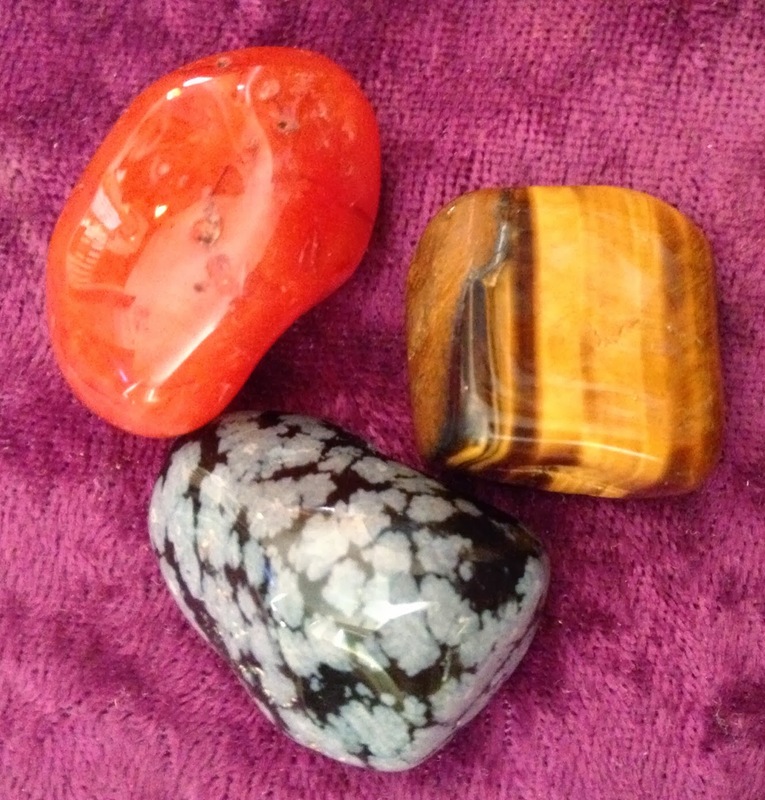 The colour associated with the belly chakra is orange and the crystals I use are tigers eye, carnelian and a obsidian snowflake. Solar Plexis - located about halfway between the base of the rib cage and navel, this chakra is all about our human self, our impulses, strengths, and fears. 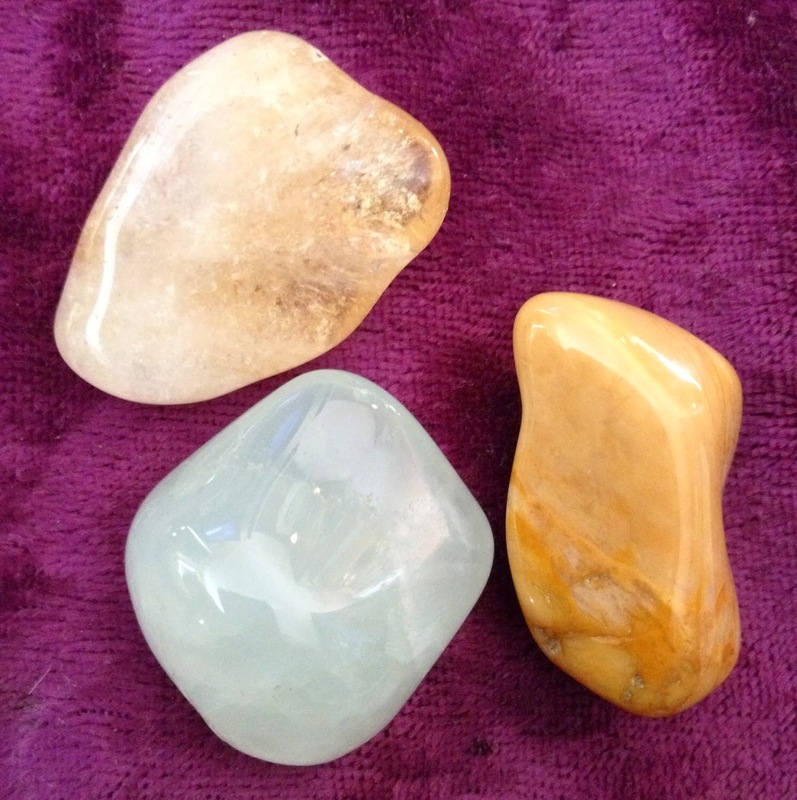 Yellow is the colour associated with the solar plexis chakra and I use citrine, yellow jasper and prehnite crystals. Heart - is located near the center of the breastbone. It is our heart center and governs love, compassion, higher consciousness and spirituality. 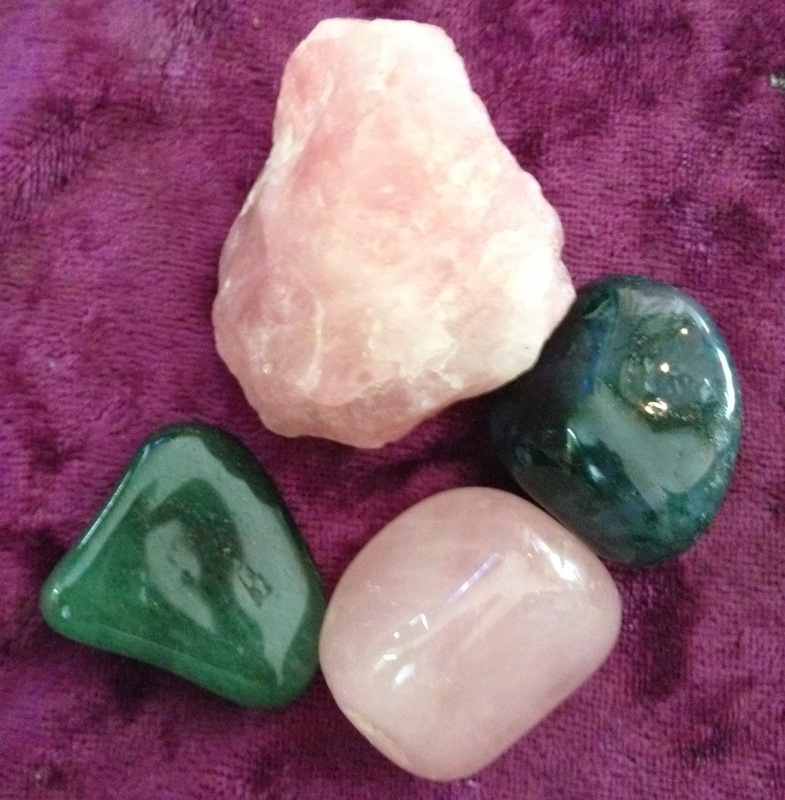 I associate both green and pink with this chakra and often visualize a soft pink rose when healing this area. I use rose quartz, Agate green moss and aventurine crystals on this chakra. Throat is located just below the adam's apple at the base of the neck. I associate the colur blue with this chakra and it governs communication and expression. 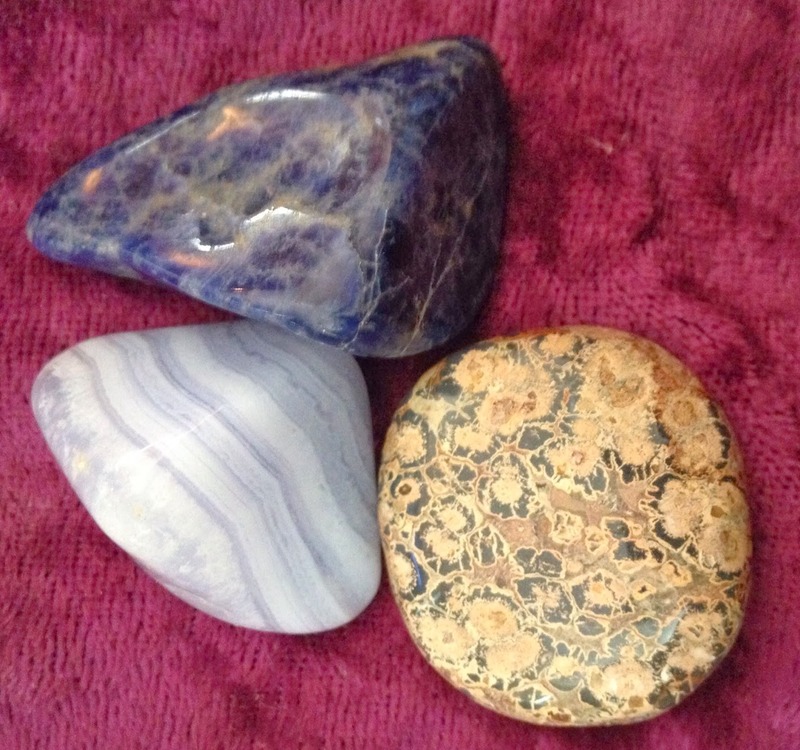 I use the crystals blue agate, sodalite and jasper leopardskin. Third Eye is located on the forehead between the eyes, in front of the pineal gland. This chakra is related to the act of seeing, both physically and intuitively. 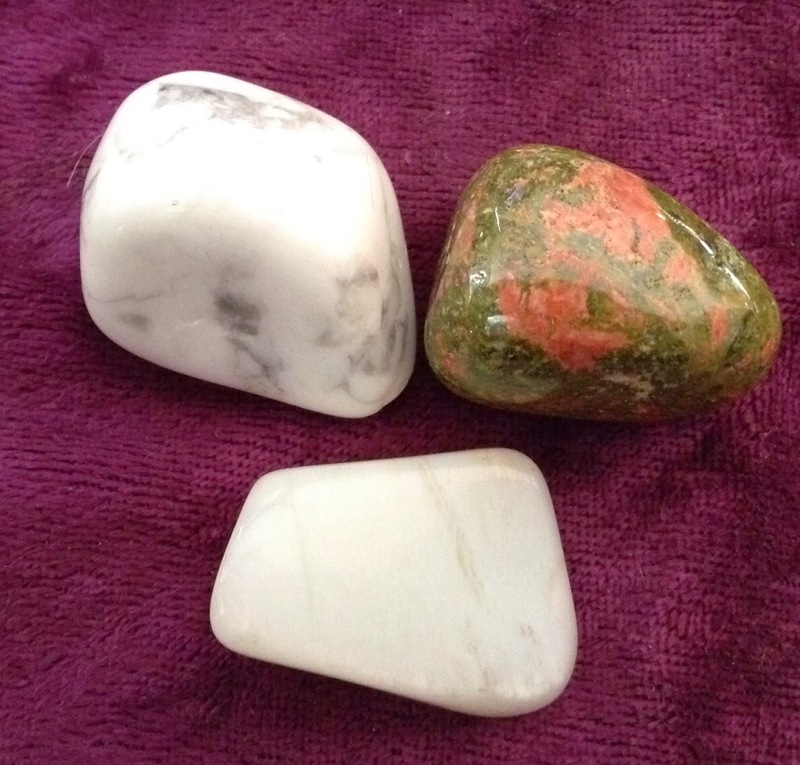 The colour associated with this chakra is indigo and the crystals I use are moonstone, howlite and unakite. Crown - located on the top of the head, this chakra is our connection to source. 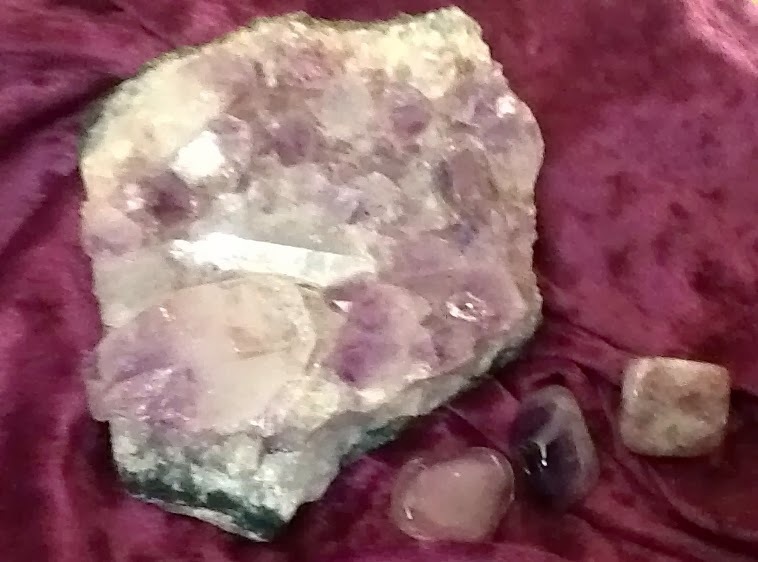 I associate violet and a white light with this chakra and clear quartz and amethyst crystals. After the healing, I close my chakras and slowly bring my focus back to my human form, drink a large glass of water and let my gratitude for life, love and the divine within all of us flow. What a wonderful healing, Beadorh, and I will be trying it soon myself. I need to pick up a few more crystals I think first. I love the Sundog picture! Was it really cold that day? I only see them here in Calgary on the coldest of days. Glad you liked it Feather. Cold...always. The sun is shining today...wonderful! Have a great day.